It was 1992 as Kristian got his first computer. 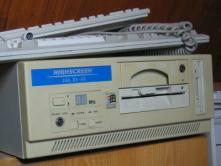 For over 7 years he used his 386 pc for playing games and, of course, programming and BSD. This section covers most of his work related to computer. However, you can find here his first steps in programming, his first self-made games and some new (and old) freaky linux stuff. The picture is for people who won't believe that computer once had a "turbo" button. That good old computer served Kristian for over 7 years. 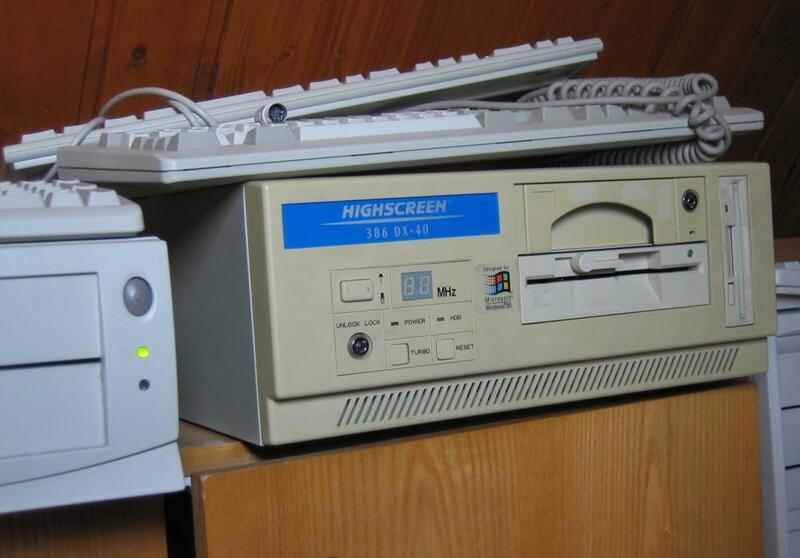 With that Highscreen box (it actually had 40 MHz when the turbo button was pushed), Kristian played several games and programmed some interesting games and applications. It was 1997 where Kristian booted a Unix for the first time. It was a variant of BSD. Some months later he even booted Linux on it. And yes, he also made his first music album novisad with that old box. It was the autumn of 1998 as Kristian got a newer box. But computer will never be so cool and easy again as they were with the DOS times. Over the years I have made lots of shell scripts to improve speed and easiness of daily computer work. I wrote this wrapper because I wanted to log available bandwidth as my internet provider does not provide the whole bandwidth they promise. Just a patch to improve ofxPiMapper that it can play videos consecutively. Korseby Templates is a little set of templates with lots of useful additions, functions and tricks for LaTeX and GNUPlot. Transformation von UTM-Koordinaten in das Gauß-Krüger-Koordinatensystem und Abbildung von Karten mit Google Maps. The evolution of Kristian's Desktop. This section covers eye-candy monitors and themes for window managers - things that enhance the Desktop. Korseby iptables Firewall (kiptables) is a simple but secure shell-script that configures your Linux iptables firewall in an easy manner. In 1991 where Linus Torvalds published a first version of his operating system Linux on the internet as Kristian got his first computer a year later. When using Linux it is only natural to get into kernel programming by some time. Here you can find some patches and other things. Bite my shiny Apple. Some Mac related programming and OpenDarwin Ports. kfand is a very simple implementation of a daemon that automatically controls the speed of the fan and adjusts its speed according to the temperatur of the processor. Fortschritt erkennbar an den Versionen. Es geht um uralte Programmierung, als der Computer noch cool war, und alles einfacher.